Ok soooo, in this week’s webinar I discussed some things to think about when building your foundation for your business…..using the web of course. It made perfect sense (in my mind) to start at the very beginning (with the foundation) because many people jump into business, but they don’t always STAY in business because they haven’t thought it out completely. If it doesn’t pop off fast enough, they quit. End of story. 1. It all starts with a decision…. 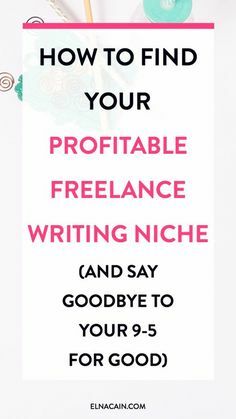 Why is it important to figure out your niche first? Creating a niche allows you to focus your efforts and offer products and services people will want to buy. What factors determine if a person buys or not? Upscale an existing product. So this is where you would find a product in your niche and then you would find the holes in that product. You’re basically seeing what that product is missing and what it already has, and then determine how you can make a better product. So you’re not copying off the product, you’re simply borrowing ideas and drawing some inspiration from it. When you start with an outline, you write down your main topic or point of interest and break it down from there into subfactors. So at this point you can get everything written out and then go back to add or take away what you don’t need. Research is really simple. What you’re going to do is find information on your topic and read as much as you can on that topic. What you will notice is that you will see some repetition in information and then you’ll see some additional info as well. All you have to do is put what you read into your own words and add some commentary to it. When you’re writing, it’s always good to include some kind of storytelling and authenticity because people relate to that and it makes it more interesting. Stop trying to figure it out on your own! Weigh the money you’ll spend against the time it would take you to do the task yourself. Estimate how many hours it would take you to complete a project, and then divide what it would cost to hire someone else by that number. If you end up with something around three or four dollars an hour, consider outsourcing.